Shaun Spiers, the chief executive of the Campaign to Protect Rural England, has been appointed executive director of the charitable think tank the Green Alliance. Nick Jones has joined Action for Children as managing director of fundraising, communications and policy. He was interim executive director of marketing, fundraising and communications at Save the Children UK. Mike Dixon, assistant chief executive at Citizens Advice, has been appointed chief executive of the drug, alcohol and mental health charity Addaction. 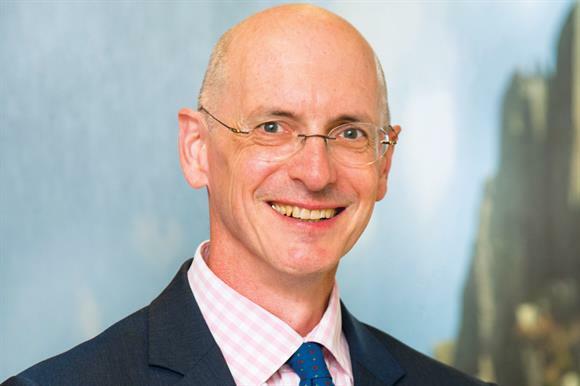 The disability-led arts organisation Shape Arts has appointed David Hevey as chief executive. He is project director of the National Disability Arts Collection and Archive, a Shape-led project, and will take up the new role in April. Lucy Caldicott has been appointed chief executive of the youth charity UpRising. She was acting director of the communications and fundraising team at BBC Media Action. Mark Flannagan has stepped down as chief executive of Beating Bowel Cancer. Flannagan had been in the role for six and a half years, but has decided to take a short career break. Sussex Oakleaf, a mental health charity, has appointed Philippa Thompson as chief executive. She was chief executive at the disability charity Independent Lives. Sarah Nancollas has been appointed chief executive of Variety, the Children's Charity. She held the same position at Lepra, the leprosy charity. The youth charity the Foyer Federation has appointed Tokunbo Ajasa-Oluwa as chief executive. He joins from training provider the Bauer Academy, where he was head of innovation. The development charity Send a Cow has promoted Paul Stuart from chief operating officer to chief executive. He has been interim chief since March last year. The former interim chief executive of the charity leaders body Acevo has left to start his own social tech organisation. Asheem Singh had been with the charity since 2013. Geoffrey Dennis has joined the animal charity Spana as chief executive. He previously held the same post at the Royal National Children's Foundation. Claire Harvey has been appointed chief executive of Diversity Role Models, which works to prevent homophobic and transphobic bullying in schools. She joins from the professional services company KPMG.